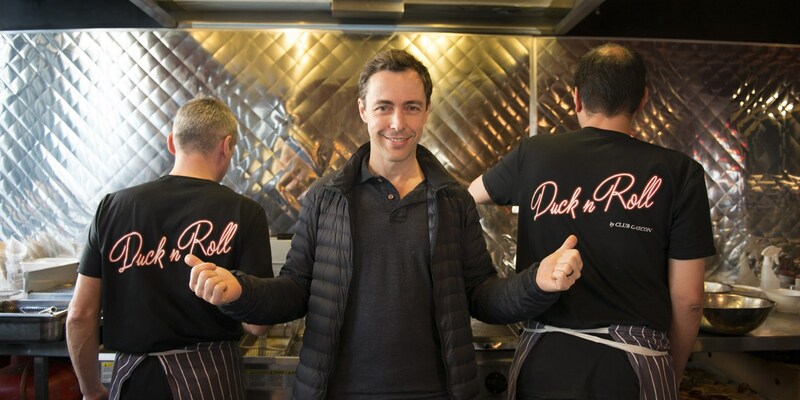 We visit Pascal Aussignac and team Gascon at their new Duck n Roll pop up, serving quality street food to the foodies of East London. Such is the power of the street food revolution that those who are perhaps more commonly associated with Michelin stars and fine dining are being pulled into the fray. Pascal Aussignac, chef proprietor of Club Gascon (among a host of other London restaurants) has been delighting guests for many years with his creations, dishes deeply ingrained with flavours of Gascony - think foie gras, oysters - which all the while retain the same playful spirit as their creator. With Pascal’s penchant for small plates and experimental approach to flavour combinations, it’s no surprise that this chef would be the one to set up a street food side-line. Duck ‘n Roll, now residing at Hawker House Street Feast until early April, focuses on one beloved Gascon ingredient over all others; as the name suggests, duck is the star of the show at this pop-up. 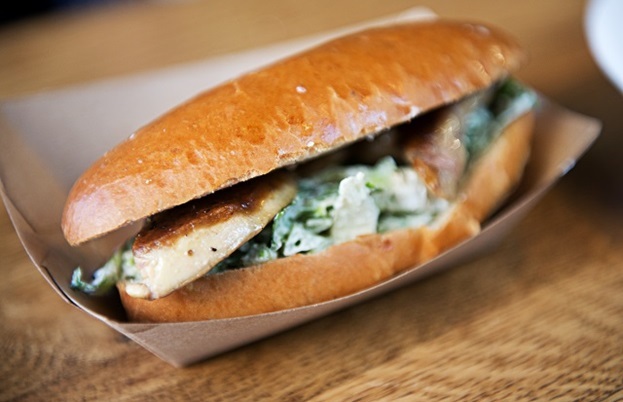 Besides the sublime Slow-cooked truffled duck egg - a Club Gascon signature - it is the Foie gras burger that perhaps most typifies the Duck ‘n Roll ethos - these duck-centric street food dishes are very much Michelin morsels. With perfectly seasoned hunks of luxurious foie gras nestled on dressed lettuce, there was an undeniable whiff of Gascony in the air as hungry Hoxtonites tucked in. The Hot duck pastrami sandwich was a real hit, tasting as it did both faintly familiar and entirely unique. Visually it was difficult for any self-respecting sandwich seeker to resist, with folds of duck pastrami tumbling out of the roll, topped off with a slice of cheese. 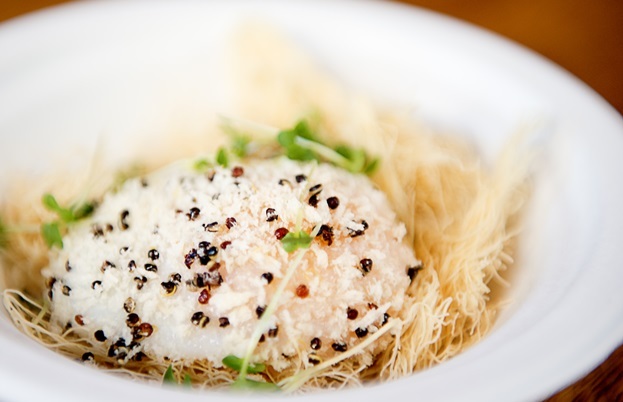 As you would expect from Pascal and his team, the dishes are thoughtfully prepared and playfully presented. Mussel popcorn is served with black garlic aioli in a paper cornetto reminiscent of a seaside takeaway, and even the confit fries - smothered in crunchy duck salt and wickedly moreish - are served in a newspaper cone. It’s a hit, then, from the Gascon team who prove that they too can be hip to the street, serving up hand held dishes to delight even Hawker House’s street food aficionados. There must be something in it - after all, this is a crowd who really know their coxinha from their kimchi - so head down while you can and try it for yourself.